CCD Driver: FLI CCD driver (indi_fli_ccd) for all FLI cameras. Filter Wheel Driver: FLI CFW driver (indi_fli_wheel) for all FLI filter wheels. 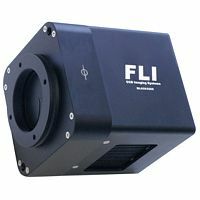 Focuser Driver: FLI PDF driver (indi_fli_focus) for FLI Precision Digital Focuser. INDI FLI driver should be able to support all FLI family of CCDs. This includes temperature control, subframing..etc. The PDF driver is an absolute focuser driver that can be used in autofocusing applications. Once you're connected, you can capture images as FITS from the camera, control temperature, and set image binning and frame subset. The driver will automatically upload these images to the client in FITS format.